Lea el artículo en castellano aquí. Pride & Prejudice, starts with this wonderful quotation, of the most known work by Jane Austen. And with it we are told what will be this novel: a treatise on love and marriage from an ironic and funny perspective, though not devoid of errors, misunderstandings, problems and difficulties. 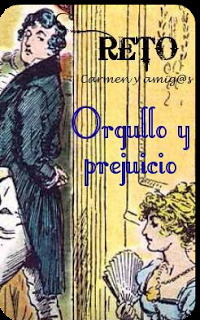 Pride and Prejudice is one of the best novels of the English Literature from all the ages, and it is among the biggest works from universal literature. 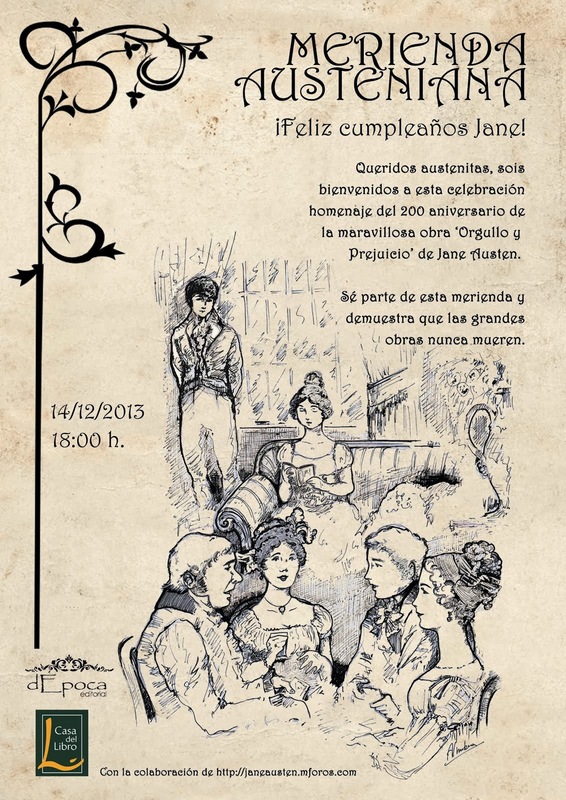 In January 2013, it was the 200th anniversary of the publication of Pride and Prejudice . 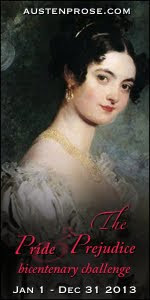 The author, Jane Austen began to write, according to her sister Cassandra, in October 1796 (she was about to turn 21) and she finished 10 months later, in August 1797, with the title First Impressions, being the second of the works that Jane wrote as an adult. Her family liked it so much that the father believed to be published, initiating steps to achieve it. However, the publisher Thomas Caddell, without even reading it, rejected it. We suppose he did not live long enough to regret it, because it became one of the most widely read novels since the first edition. Jane Austen was not discouraged and continued to work on the novel. Thus, in January 1813, with new title, Pride and Prejudice, it appeared finally published, 15 years after the end when Austen was 38 years old, and having published Sense and Sensibility. The editor Egerton, who paid 110 pounds, certainly the best money employed by this publisher. It was not published under her name, but as the writer of Sense and Sensibility, that had been written by a lady. There was even a family plot to not identify the identity of the author, presumably to preserve their privacy, but perhaps to not reveal that a woman, a member of a good family, was earning money from her work . It is a period novel but extremely modern, where attitudes and thoughts of the characters and their lives and their circumstances can extrapolate to our time, saving time logical differences by changing social conventions. In my opinion, there are two Austen: a wry , acerbic and sometimes ruthless, and one that seeks wisely balance. I like them both and I think they are inseparable. If only she were scathing and merciless, she could be confused with her predecessor, Laurence Sterne. If only balanced, she could pass for a Victorian writer. It is the combination of irony and balance that make her so profoundly original and interesting. The irony and poignancy of her work place her among the English classics. The balance gives her works a candor that, however, is merely apparent. The mere description of the daily life of the gentry, implies a soft criticism of their rules and modes. In contrast to the Gothic novels and even romantic, in vogue at the time, the works of Jane Austenfocus on aspects of life and, therefore, related to real life. The variety, entertainment and behavior based on perceptions or actions is not always correct to her protagonists, they are issues that the writer addresses in almost all her works. It is highlighted the importance given to detail and realistic depiction of characters and places in her both conditions are essential. Her perfect combination, describe their society without suffering womanhood of their time, making her small social works treaties that microcosm, the gentry during the Regency, she knew so well . In the Diary by Sir Walter Scott, we can read: “Also read again, and for the third time at least, Miss Austen’s very finely written novel of _Pride and Prejudice_. That young lady had a talent for describing the involvements and feelings and characters of ordinary life, which is to me the most wonderful I ever met with. The Big Bow-wow strain I can do myself like any now going; but the exquisite touch, which renders ordinary commonplace things and characters interesting, from the truth of the description and the sentiment, is denied to me. What a pity such a gifted creature died so early!" I usually re-read this novel by Michaelmas, a significant date in the beginning of the book, and I always, always find new things, things that were always there, but you had not noticed in previous readings, so I have the feeling of reading different books each year. Gracias a Victoria y Pilar Gómez.